2014-11-05 16:29:04 JRebel:  (c) Copyright ZeroTurnaround AS, Estonia, Tartu. 2014-11-05 16:29:04 JRebel:  at least 27 redeploys/restarts saving you about 1.1 hours. 2014-11-05 16:29:04 JRebel:  at least 801 redeploys/restarts saving you about 32.5 hours. 2014-01-08 18:43:23 JRebel:  (c) Copyright ZeroTurnaround OU, Estonia, Tartu. 2014-01-08 18:43:23 JRebel:  at least 12 redeploys/restarts saving you about 0.5 hours. 2014-01-08 18:43:23 JRebel:  for unlimited number of developer seats on site. 2013-09-15 22:45:56 JRebel:  (c) Copyright ZeroTurnaround OU, Estonia, Tartu. 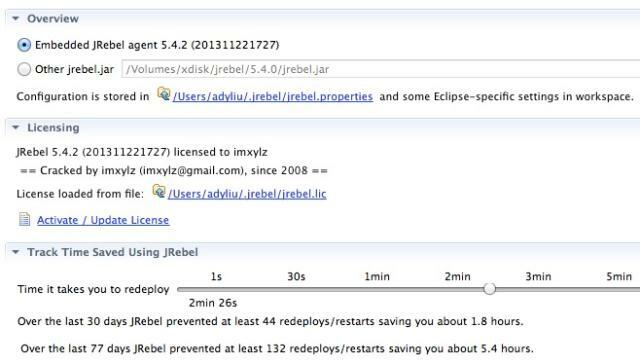 2013-09-15 22:45:56 JRebel:  at least 0 redeploys/restarts saving you about 0 hours. 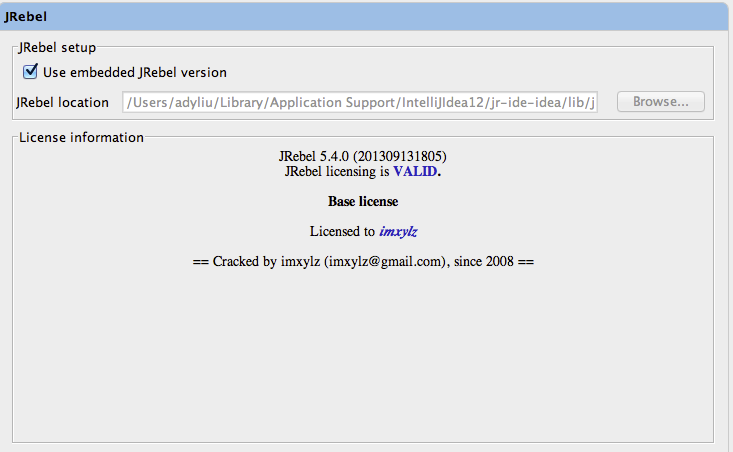 2013-09-15 22:45:56 JRebel:  for unlimited number of developer seats on site. Hello JavaRebel, sleep 10 seconds. 2014-11-22 16:13:08 JRebel: (c) Copyright ZeroTurnaround AS, Estonia, Tartu. 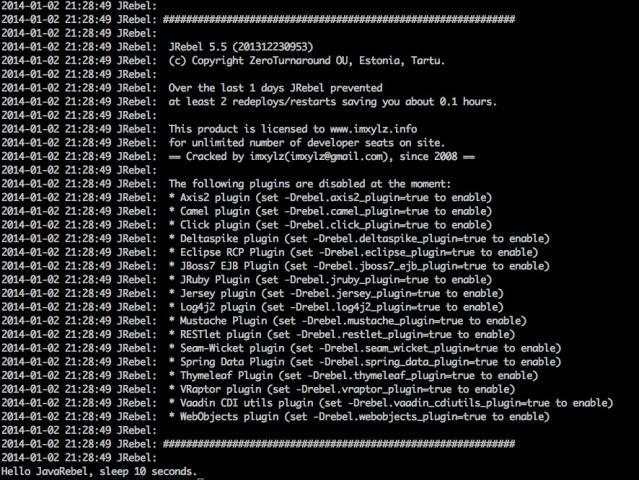 2014-11-22 16:13:08 JRebel: at least 0 redeploys/restarts saving you about 0 hours. 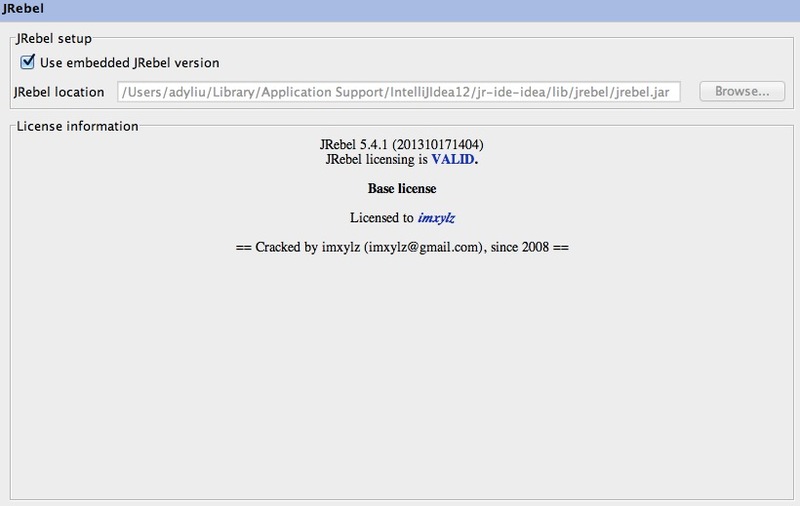 2014-11-22 16:13:08 JRebel: If you think this is an error, contact support@zeroturnaround.com. Could you please send it to robby_lu@163.com?